with a cost of US$32 million. Once a sleepy fishing town located on the shores of the Arabian Sea next to the Pakistan-Iran border, Gwadar is a busy settlement today with construction activities in a full swing. Located at the face of the Iranian Plateau, Gwadar is a doorway to the oil rich Persian Gulf which leads to the Central Asia, Africa and Europe. The significance of Gwadar Port could be gauged by the fact that almost 97 percent of world trade passes through the same Persian Gulf in the Strait of Hormuz. The features which make Gwadar surpass other compatriots are all natural. Gwadar has a deep, clean and warm water coast which is without parallel in the entire region. It is situated at a junction of different regions. Being a part of Balochistan, the province full of untapped rich minerals and untouched coasts, Gwadar’s significance becomes second to none. Due to its geostrategic location, Gwadar is set to become the new regional hub of trade and business for the entire region and beyond. Gwadar also serves as the linchpin in the China-Pakistan Economic Corridor (CPEC) – the flagship project of One Belt One Road (OBOR) initiative of Chinese President Xi Jinping. Once called the epicenter of conflict and discord, Balochistan is fast emerging as a new investment destination following the launching of CPEC. From United Kingdom to Germany and from Iran to Afghanistan, everyone wants to join the buzz word CPEC. While China would be benefiting from CPEC trade, Pakistan would be a major beneficiary as China has pledged foreign direct investment in Pakistan to the tone of around US$57 billion. Under the plan, 19 early harvest projects are near completion, which have largely helped transform the image of Balochistan. Out of the 19 projects, Balochistan has got the lion’s share. A visit to Baluchistan reveals that the CPEC has worked wonders for the people as economic activity is picking pace and life is thriving. But success gets the attention of detractors too, and pretty fast. Since the launch of CPEC and a downward dive in insurgency in Balochistan, media manipulation has become a tool to paint a dismal picture of Balochistan contrary to the situation on the ground. In a recent article published in Politico, Mr Saim Saeed has made an effort to portray Balochistan as a hotbed of terrorism. Perhaps the author wants China to run away with billions of dollars of investments made into Gwadar and other parts of the province, advising Beijing not to risk their money in Balochistan. But the author has forgot that Chinese are a resilient nation who can’t be bogged down with false claims as they have poured in billions of dollars in Africa and North America and helped economic revival in most of the conflict-hit areas. Being a student of CPEC, I decided to peep deeper into Gwadar development plan and to see myself the reality on ground. It is true that with the construction of Gwadar Port back in year 2001, efforts were on to sow the seeds of conflict and discord in Balochistan. Since Balochistan had a long history of tribal feuds, the insurgency picked momentum soon afterwards. A visit to Gwadar city reflects an altogether different picture. The Port area and the Free Economic Zone are a center of the attraction where thousands of workers are busy with their work. Officials of the China Overseas Port Holding Company (COPHC), which has been tasked to develop the Port, say that around 90 percent work on the development of the Port has already completed and rest would also be finalised soon. People in Gwadar say CPEC has brought about an opportunity for them and they have decided to move towards peace and development. An effective plan and proper strategy adopted by security agencies has also helped the cause and the insurgents have been on the run or have surrendered, they opine. Malik Siraj Akbar, an expert on Balochistan affairs, in his article published in 2014, predicted the demise of the Baloch armed movement. “Frustration, suspicion, infighting and division are the common features of the end of a guerrilla fight. Perhaps that time has come in Baluchistan,” Mr Akbar added. The only militancy left is the fanatic religious terrorists who are on the run too, say officials. Anwarul Haq Kakar, the spokesman for Balochistan government, says that the action against terrorists attacking the innocent was effective and prompt. “With development process taking roots in the province, we are also ensuring the writ of the state to be effective against those who challenge the law,” he added. Kakar says that the number of dissidents has drastically reduced due to phenomenal success of a peace process called “Pur Amn Baluchistan”. Under the amnesty scheme, more than 700 insurgents have surrendered. “Now only a few dozen law violators are left who would either join the peace process or they would have to face the law,” says Kakar. Behram Baloch, a Gwadar-based journalist, agrees to the notion and says most of the insurgents have benefitted from the amnesty scheme. However, there is still some risk as of late some poor labourers from South Punjab and Sindh, who were working on a road linking two small towns, were targeted by insurgents. Dr Aziz Baloch, a rights activist in Gwadar, when asked why the insurgents were targeting poor labourers, said Baloch nation condemns those who attack and kill poor peasants. “The state must act ruthlessly against those who are involved in these acts of terrorism. Supremacy of the rule of law must prevail,” he added. But the development sings its own songs irrespective of what is happening around. The fruits of this investment have started to make a difference too. Almost 90 percent construction work has been completed at Gwadar Port and three new berths have been developed at the port while the old ones are being removed. However, the port is yet not operational yet for commercial purpose. Locals have been employed besides labourers from other part of the country. Locals, however, complain that their major business, fishing, has become difficult for them as they are being denied fishing in the name of security. Moreover, illegal fishing ships from Sindh also wipe away a major source of their business. The Chinese embassy has been instrumental in pushing projects in across Balochistan under the CPEC. In May this year, Mr Cheng Zhu, the vice chairman of the Standing Committee of the National People’s Congress, visited Gwadar and inaugurated a medical center which would function for welfare of the local population. China is also constructing a fisheries factory and cold storage to help develop the local fisheries industry into a major success. This would bring about a revolution in the fishing business for the local and unemployed youth. The factory would also help store fish bones in the cold storage which would be an added value for fisheries department. Moreover, the Chinese have already developed a primary school at Gwadar which has started functioning and the local youth would be benefiting from it. The Free Economic Zone comprises of 2,200 acres of land out of which 57 acres of land has been allotted to Gwadar Port for development. Business activity started in Gwadar Free Economic Zone and a local company has started its business and Jolta Electric Bikes are now being assembled at Gwadar Free Economic Zone. The Company has already secured a deal for delivery of 2,500 e-bikes for Gwadar Free Zone Company to make it a pollution free and emission free region. The company said that it has plans to invest $10 million in Pakistan in two phases by setting up an assembly unit followed by a manufacturing unit. Provision of clean drinking water and electricity remain a challenge, however. Behram Baloch says that the local administration is transporting water in tankers from a dam around 150 kilometers away while no step is being taken to either rehabilitate the old water plant called Gwadar Desalination Plant. Though the federal government has got approved the PC-I of Provision of Fresh Water plant to be built with US$114 Million, the framework agreement is likely to be signed soon. With the security situation improving in the area, more and more business opportunities are emerging. However, extraordinary security beef and check posts in and around Gwadar city are irking locals too who are not ready for an intervention to their culture and customs. Dr Aziz Baloch says that everyone supported the ongoing development in the area. However, he said that the security model must be reviewed. He said that for the time being, the local population is watching the ongoing development process from far away as they are not immediate beneficiary of the investment. China has already pledged to construct a Coal-based Power Plant to help provide uninterrupted power supply to the locals who are for the time being using Iranian electricity for free. Initially, it had been decided that the power plant would generate 630 megawatts but later it was reviewed and changed into 300-MW Plant in Independent Power Producer (IPP) mode. China would invest US$360 million in the plant. The Economic Coordination Committee of the Cabinet has authorised Private Power and Infrastructure Board to proceed for award of the Project for establishment of 300MW power plant at Gwadar, to China Communication Construction Company. Gwadar Eastbay Expressway project is another move which would help connect Gwadar with the rest of the country. China would provide interest-free loan of US$140 million for the project which has been already approved by ECNEC. The project which is yet to start would be completed by next year. New Gwadar International Airport is being constructed with US$230 million for which Chinese government has provided a grant. The grant request is being processed by Chinese government while the 6th JCC called for early commencement of the project. For the skill building of the local youth to provide local youth with better and skilled jobs, China has also decided to set up Technical and Vocational Institute at Gwadar. For the purpose, Chinese government would provide US$10 million as grant. Chinese technical team is expected to conduct feasibility study soon which would be followed by MoU signing. Pak-China Friendship Hospital is also to be built at Gwadar with a cost of US$100 million. Chinese government would provide grant for the purpose. Feasibility study has been completed by the Chinese team to add 100 beds from existing 50, for subsequent extension to 300 beds. Development of Free Economic Zone is already in the process at Gwadar Port with a cost of US$32 million. Under the project, 100pc private investment inside Free Zone would be ensured. First phase completion date is December 2017 while a significant progress and response from investors has already been attained. Gwadar Free Zone investment guide line has been published. The draft business plan has been received from Chinese COPHCL. US$123 million would be spent on dredging of berthing areas and channels. Gwadar Smart Port City Master Plan would cost US$4 million and MoU was signed in Nov 2015. China has also tasked Fourth Harbour Design Institute to undertake Gwadar Smart City Plan. With economic activity thriving, the life in Gwadar is also changing for good. 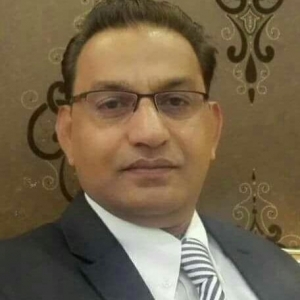 Behram Baloch says that business activities in Gwadar were picking momentum and real estate business was the real beneficiary of the hustle and bustle in the port town. Asked about the employment opportunities for the locals, Behram said that private sector was thriving as the activity was picking momentum. “Other than real estate sector, people are getting jobs in the construction business in and around the port,” he concluded. Point well taken Malik Siraj Akbar sb. Will be done.